With all of the bugs , glitches, work arounds , fixes , and sluggish behavior of Windows 10 , it makes no sense to me as to why people continue to try to carry that atrocious operating system across the finish line. It truely is a text-book demonstration of insanity to continue to do so. Do you know what I like most about Windows 10 ? The fact that it's NOT installed on my computer. Do you know what I like most about Windows 10 ? The fact that it's NOT installed on my computer. Ditto.... certainly not on my 'serious' computer that is actually intended to 'do stuff'. I'd like to be able to say that, but on this machine, my Hp 2-in-1, it was forced down my throat during Scheduled Maintenance during the middle of the night. I went to bed happily with Win 8 and woke up grumpily to find I was force fed Win 10 while I was asleep. The worst thing about it was that I couldn't roll back to Win 8 because all the backup files were deleted during 10's installation. Now MS will say that they don't do this, but I'll swear on my left and right nut that they did. As for my 2nd big Beastie, which currently is sitting idle due to necessary changes, I put Win 10 on that of my own volition... or should I say that I pre-empted MS's doing it and somehow not leaving me with a roll-back option. I don't like Win 10 and I will set up both of my main machines with Win 8 when both are operational again using the OS discs. For those who question my preference of Win 8 over 7, well I use Start8 with Windowblinds and find it no different to Win 7 to use. Besides, I no longer have installation media for Win 7, while I now have 2 OS discs for Win 8. To those that are curious I have not found a solution to speeding it up, it still lags between boot up and password screen and even more when bringing up the desktop. However since it's only a few extra seconds I've learned to just bear with it. Here in a week or so I'm going to stuff another 4 GB down it's throat, so if having 8 GB installed will speed it up since DDR3 is getting cheaper. I did roll back to version 1709, a few tings are faster. If the RAM upgrade fails to deliver I might just buy a used Mac for cheap or install Linux. but it has a solid state drive. It boots much faster than any computer I have owned even a vaio that peeked at 3 GHz. It also runs cool with no fan. Same here with my HP 2-in-1. The CPU peaks at roughly the same as yours and has a SSD, which means ultra-fast booting. Thing is, as JC Rabbit says, Win 10 does sacrifice 3rd party apps to make it appear as though the OS is booting faster. Personally, I'd like it if Win 10 gave us the opportunity to select most needed 3rd party apps a boot, then I'd say it's faster overall. To those that are curious I have not found a solution to speeding it up, it still lags between boot up and password screen and even more when bringing up the desktop. However since it's only a few extra seconds I've learned to just bear with it. You're not alone, plenty of people are reporting the same tardiness at boot since the last major update. My gateway xp computer was fully loaded in five minutes at 230 MB ram and 33 processes. The computer I am running to post this is fully loaded after a restart in 8 minutes at 1.2 GB ram and about 109 processes. They are only going to load so fast as they get more process bloated. if you interrupt the load odds go up that bugs will appear. I have two other computers windows 8 and 8.1 and let them load 8 minutes before using them. The one I am posting this with boots to the desktop really fast but that is not fully loaded. If I don't do a full restart it is ready in less than a minute. By the time I post this I am using 128 processes. You must have something wrong with your computers. Even when I was running Windows XP on old hardware it never took THAT long to boot. My current machine does it all in under 2 minutes, used to be less. 8 minutes is pushing it. I edited my last post. If I don't do a full restart it is ready in less than a minute. 1.2 GB ram. you should see CPU,memory,and disk so you can watch all of them. If you click CPU you get uptime and # of processes. Full restart watch the task manager for at least 8 minutes. and see when it is all loaded some of it is delayed. 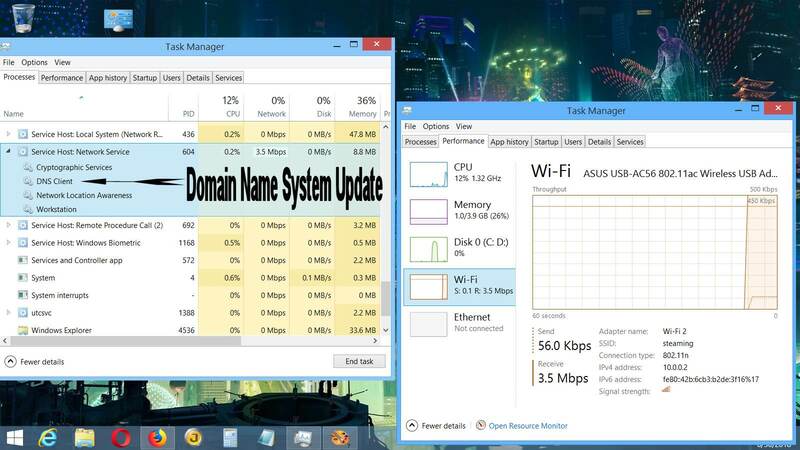 Try this, open the task manager to the processes tab. Right click on name select columns. Select publisher,PID(process id number),process name,CPU,memory,disk and network. If you click a column the most used goes to the top click again least used goes to the top. Like CPU or memory or disk or network.Also open the resource monitor select columns. and learn to get rid of things you don't need. Even with all the past updates my laptop (no SSD), boots with an average time of 42 seconds consistently. I bought a gateway desktop in may of 2002. 1.8 GHz Pentium 4, 768 MB ram, 40 GB hard drive. I got all the updates and used it every day until 2013. I had to replace the power supply one time. I never have reloaded the software. I disconnected it from the Internet march 2013. It still works as good as the day I bought it and I still use it. It runs 33 processes until I open programs. Today I looked at a new gaming laptop just to check it out. It was 2.3 GHz and running 298 processes. Will it be 600 processes in six months? There's quite a bit of process bloat with newer OSes. Hell, even WinXP was bloated compared to what came before. It is around 768 MB ram. I edited the typo, sorry. Here is an example of an update you want. It comes in usually once a day,I know when it comes in and what size it is. Different computers and operating systems are different on the timing. I will attempt to post an image of it here. ATT sent a technician to set up a new Internet connection a while ago. while he looked over my shoulder and asked "what is that program?" I replied "the task manager." The new net is working pretty good. One thing I'm going to say about the task manager is if you don't know what the process isdont delete it. Lets say you have a process you think is malware or something you don't want. you find out what program it is and decide if you want to uninstall it. If it isn't a program that you can uninstall. restart or cold boot(kill the power and restart).The process will come back on. files in new versions of windows, But if it is malware you can probably get rid of it. don't want to waste resources. I recently bought a used Sony VAIO laptop, put a 250GB SSD in it and added 4GB of RAM, but even before I added the RAM I installed Windows 7 Home Premium. It has an Intel Core I3 CPU, and it boots fully in under 30 seconds! Even my Dell Core I7 doesn't boot that fast. Here's to Sony! If you find one, get it! are still running. You don't need them. Anti virus programs might do this. to find out what it does. You can't delete a process that is running. "How we got over our fear of processes and learned to love the task manager". Something I've learned about computer hardware and software. and I don't have time to waste on the stuff that doesn't. And I don't have time to waste rooting around in task manager. Too busy with work and other activities. But sometimes I have to. is because I write this with another program and paste it in. Did you manage to solve this? I have a similar issue and I am wondering what really worked. Help!